Yeah, I got it too. These little, small and with nice contrast devices are really great. I2C communication from my module isn’t really powerful because of slow I2C, even at 400kHz. To update full LCD, there are 1024 bytes of data to be transfered. And this can really take a while. 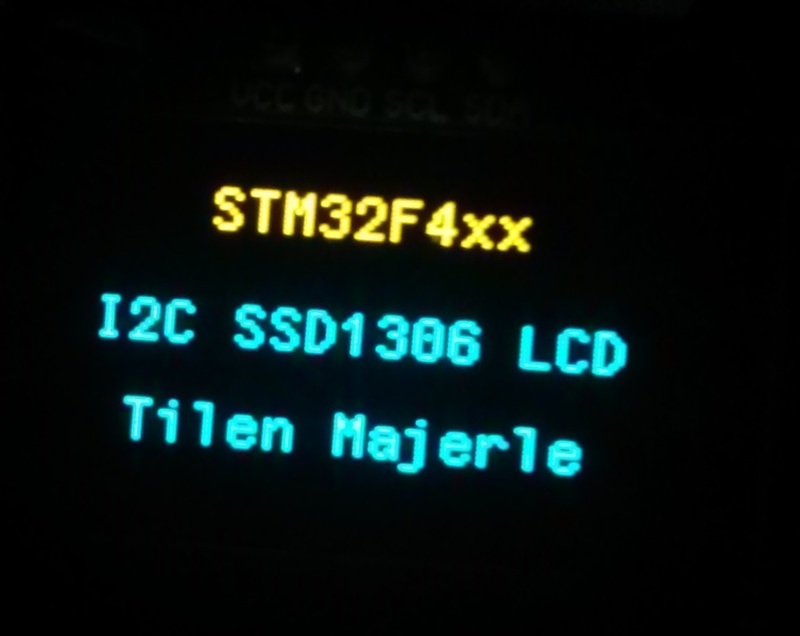 But anyway, for having this LCD just to showing small updates and notifications for users in your project, I2C is still nice. Probably I should make it using I2C DMA transfer. 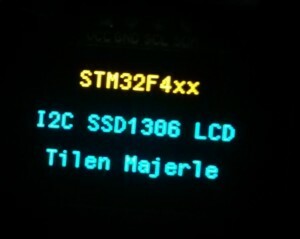 The heart of this OLED LCD is SSD1306 driver. Driver itself allows also some other communications like 3-wire SPI or 4-wire SPI as well as 6080 parallel interface any maybe more. Parallel interface is really not necessary here because of small amount of data to be transfered since each pixel is a bit in a bytes area. In my LCD, I don’t like the fact that about 1/3 of LCD is yellow when pixel is ON and the rest is blue. This looks really crazy and not so useful. Anyway, library is here and ready to use. 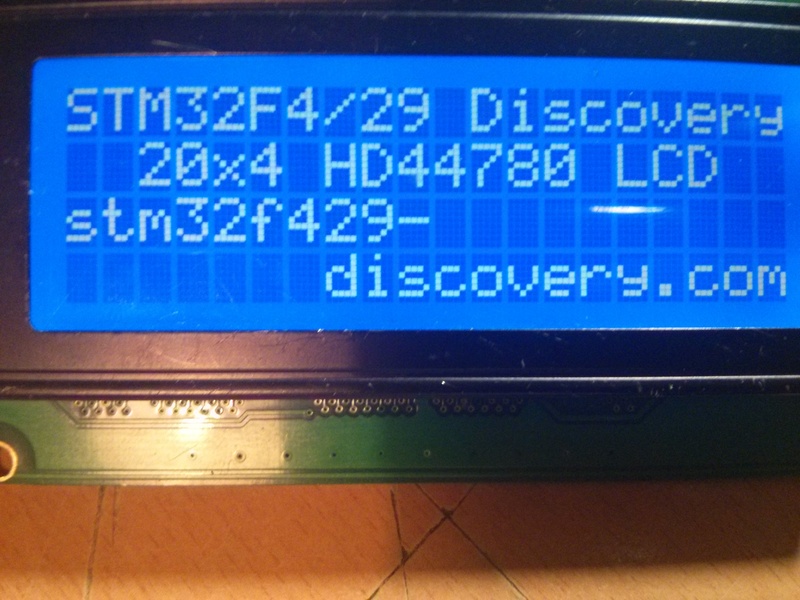 Since this LCD is very small, LCD rotation is not possible with this library. By having interest in this feature I will add this too.